So I think you will have seen my none stop tweeting (Alexa favourited my tweet people, FAVORITED), snapchatting, Instagramming from possibly the most exciting event I've been to this year. The lovely girls at Harvey Nichols Beauty Bazaar invited me to the store for a meet and greet event with my one and only girl crush, Alexa Chung. I had already met Alexa at the signing of her book, IT and she was really nice so I was very excited to meet her again. 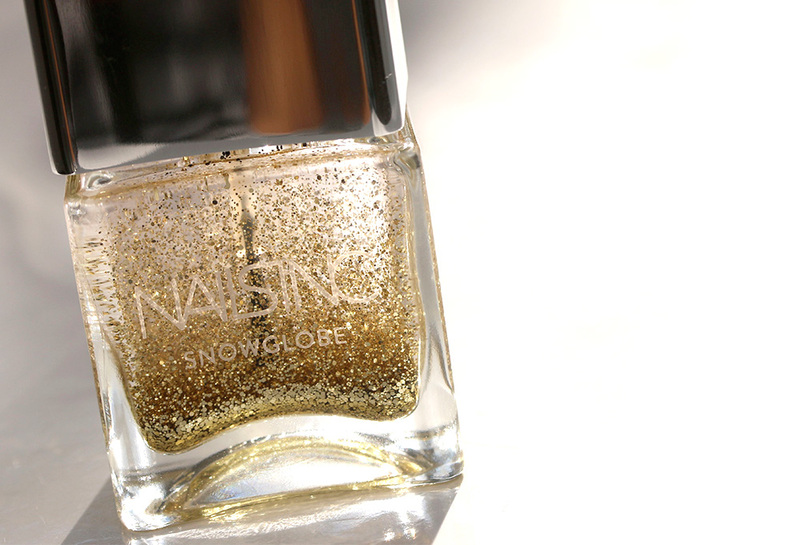 The event launched the Snow Globe nail varnish which is a really cute gold glitter polish, which you can shake up to determine the amount of glitter you want. It is like Christmas in a bottle! I would definitely recommend Snowglobe if you're a fan of glittery nails, or looking for a little secret Santa/stocking filler for an Alexa fan! You look fab! Love those boots too, spied them last night on ASOS! You are so lucky to meet her! I was so excited when I heard about the snowglobe nail varnishes- I think I told anyone who would listen, haha. Loved the outfit you wore as well, especially the boots.